StoryCorps has devoted itself to capturing revealing and emotional conversations between friends and family members, but its latest project heads in a different direction. Officially unveiled last month, StoryCorps’ One Small Step initiative seeks to help people with opposing political views who don’t know each other have civil, personal conversations. Participants can record face-to-face conversations using the StoryCorps mobile app or by visiting a StoryCorps booth. Recordings from the project have been appearing on NPR and social media. An interview that aired Sept. 28 on Morning Edition featured Amina Amdeen, a Muslim who opposes Trump, and Joseph Weidknecht, a Trump supporter. Amdeen had intervened at an anti-Trump rally when people tried to remove Weidknecht’s “Make America Great Again” hat and set his shirt on fire. Four pairs of members of Congress have also recorded One Small Step interviews, according to StoryCorps. 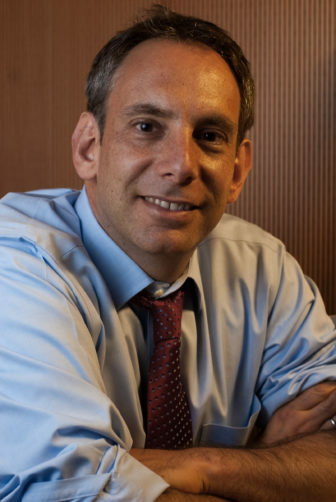 “The dream of One Small Step is basically to remind people that people who they disagree with politically are actually living, breathing human beings, and just get them together, not to talk about politics, but to see the humanity in someone who they might have forgotten was a human being,” said Dave Isay, StoryCorps founder and president. StoryCorps will share the conversations on NPR and social media. It will also help develop localized content for public radio stations by training station staff to facilitate the talks. Two staffers from each station will attend a training in New York City. A $500,000 grant from CPB, announced Sept. 27, will support the training and a live event at a station next year to be produced with NPR. StoryCorps is funding the project’s initial phase with an additional $1.5 million raised from several foundations. The idea for the project came from the “incivility” of the 2016 presidential race, said StoryCorps CEO Robin Sparkman. “We thought that ultimately we could have an impact on the country by bringing this to scale where people would be a little less fearful of someone with whom they disagree politically,” she said. Isay appeared on the public radio call-in show Indivisible last year to pilot the idea, asking listeners whether they would participate. 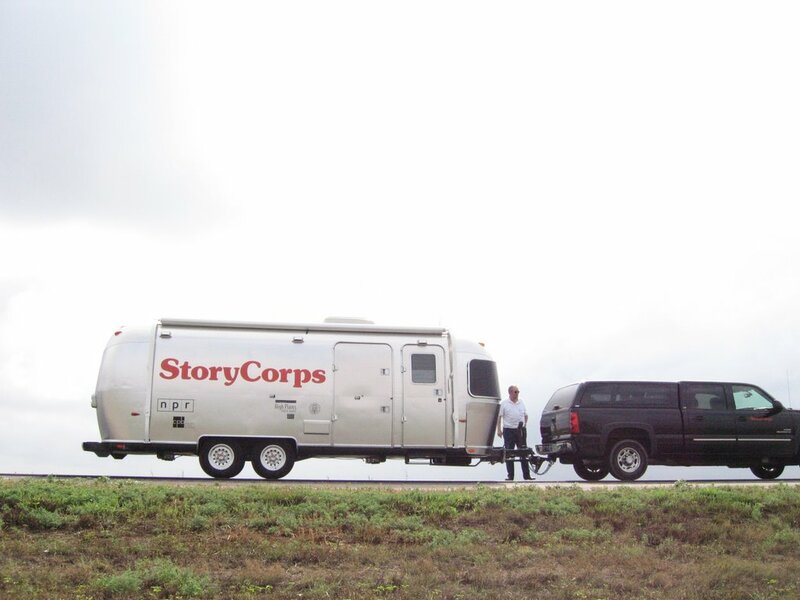 StoryCorps received more than 1,000 responses. Last year, StoryCorps included two conversations from the project in its podcast. They were well-received, Sparkman said, “because the people were so honest and so open about their different political views,” Sparkman said. With its focus on pairing up strangers, the project marks a shift for StoryCorps. Since its founding in 2003, the New York City–based organization has focused on interviews between people who already know each other. With its Great Thanksgiving Listen, it encouraged high-school students to record interviews with older family members using the StoryCorps app. It has preserved interviews at the Library of Congress that include the voices of 500,000 Americans. Potential participants in One Small Step complete surveys. StoryCorps aims to pair up people who differ politically but share something else in common, such as an occupation or religious affiliation. The interviewees must already live near each other, but StoryCorps is experimenting with connecting people in different cities. Booths with video screens at WAMU in Washington, D.C., and WBHM in Birmingham, Ala., will allow people to have “an experience of being in the same room together, having this conversation,” Isay said. Isay said StoryCorps is still determining how often interviews will air on NPR. It is targeting social media as the “most important” platform for the project to “reach as wide and diverse an audience as possible,” he said. StoryCorps shared a video on social media that drew from an interview submitted through its app. The initial phase of the project will run through next year. StoryCorps is already looking to raise funding for “One Small Step 2.0,” according to Sparkman, which could include developing more technology to connect people with different views. “You could say to yourself, ‘I’ve never met a Trump voter before, because I’ve lived in Brooklyn all my life and I’d like to have a conversation with that person,’” Sparkman said. The oral-history nonprofit has been unable to replace funding for the booth that ended in 2016.